Having a slow internet connection can be a real nuisance – especially if you’re in a hurry. The frustration caused by a slow internet connection is unmatchable. If you’re an everyday internet user, you might have encountered countless situations where slow internet speed of your connection gets into the way of your productivity. Luckily, many nifty techniques can help you survive the nightmare of slow internet. In this article, we will be discussing ten internet speed up tips and tricks to speed up your internet connection in case it has been underperforming lately. The below-mentioned internet speed up tips and tricks are proven to improve your connection speed and browsing experience considerably. There are some factors which might cause slow internet. Some of the principal reasons for the slow internet include outdated hardware equipment, connection instability, and poor internet service. In this article, we will cover how to deal with these issues, to optimize your connection speed. So without further ado, let’s learn 10 of the most useful internet speed up tips and tricks to help you improve your internet speed and get better browsing experience. You might be experiencing slow internet if you have an old DSL modem or router device. As older modems are unable to provide good signal strength if you’re on a wireless connection, it might be a good choice to upgrade your modem or router device to a newer model. Latest modems offer improved connectivity and speed on wireless networks as compared to older modems. If you’re on a wireless connection, you might not be able to get as much speed as you should, due to weak signal strength. To improve signal strength, you should move your computer closer to the router. However, wireless connections aren’t quite as strong as direct connections. Hence, if you want to take the most out of your internet connection, you should consider using an Ethernet cable. An Ethernet cable provides direct connectivity as opposed to a wireless network. Using a high-quality Ethernet cable can significantly increase your connection speed if you’re coming from a wireless network. You should also check up for external interference near your modem or router as that might cause your connection speed to drop off. Here, external interference refers to Electromagnetic Interference. Some gadgets can cause Electromagnetic Interference with your router, which can result in a decrease in your connection speed. These gadgets include wireless devices such as radio, and cell phones. Additionally, speakers can also cause interference. Hence, it’s better to check for any such devices that might be close to the proximity of your router in case your internet is slow. Sometimes, background applications can be a cause of drop off in your internet speed. Background applications might use the internet to download updates or some other data, resulting in a poor browsing experience. So, the next time you’re experiencing the slow internet, you should try closing some of the extra background apps to decrease bandwidth usage. Some applications that use a lot of internet in the background include antivirus software, some utility software, messenger applications, and download clients such as BitTorrent. Additionally, while browsing, try to keep the number of open tabs/windows to a minimum as that can reduce the background bandwidth usage. Anything that is using the internet in the background is hindering your browsing experience by using your bandwidth. If everything looks fine with your router and PC, you should probably check up on your Internet Service Provider (ISP). It is also possible that this might be a back-end issue from your ISP. However, take a quick speed test before doing so and comparing it to the plan you are using. Additionally, don’t forget to exit any background applications before taking the speed test. If the speed test results fall short of the data plan you’re using, then you should contact your ISP to resolve the issue. In case you have been encountering slow browsing and internet speed, it might be because of the excess of cache files that are stored on your computer. Some websites store data on your computer in the form of cache files, which help make that particular site load faster in the future by loading most of the data from your computer memory. However, an excess of cache data can result in a bad browsing experience. Additionally, it is good practice to get rid of cache data at least once a week. 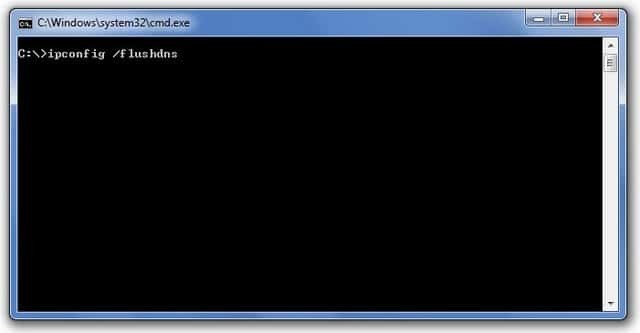 Clearing DNS Cache: To clear your DNS cache, open up your command prompt, and type ipconfig /flushdns as shown in the picture below. 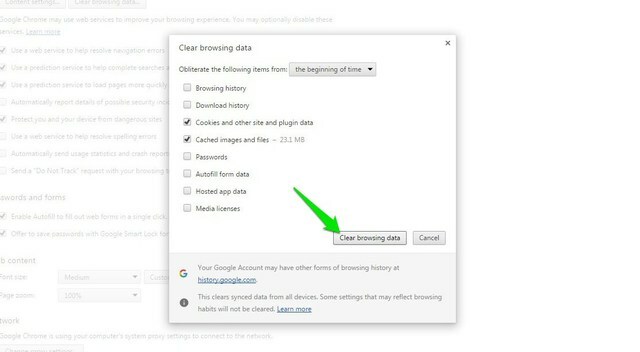 Clearing browser cache: Clear your browser’s history and browsing data to delete browser cache files. Some of the web pages on the internet are just filled with ads, which hinder the browsing experience of a user. If you’re just fed up of those advertisements, then you should try installing the AdBlock browser extension. The AdBlock extension blocks all the annoying pop-ups and ads, making web pages load faster by cutting down on the bandwidth used by advertisements. The AdBlock extension is available for almost all modern web browsers, including Google Chrome, Mozilla Firefox, Safari, and Opera, etc. You may also check out other popular ad blockers. Internet Download Manager (IDM) is utility software that can be used to handle file downloads instead of your browser. IDM offers much faster download speed as compared to your web browser. Additionally, IDM provides a resume capability, which means that you can pause and resume downloads whenever you want. Pausing background downloads can improve your browsing experience by a great extent. A DNS server converts a web address to an IP address to communicate with a website. Every ISP uses different DNS server for its consumers. However, sometimes, these DNS servers can be overloaded and can deter your browsing experience. Fortunately, two public DNS servers are available to every internet user. Switching to one of this DNS server can improve your browsing speed significantly if your DNS server is causing problems. 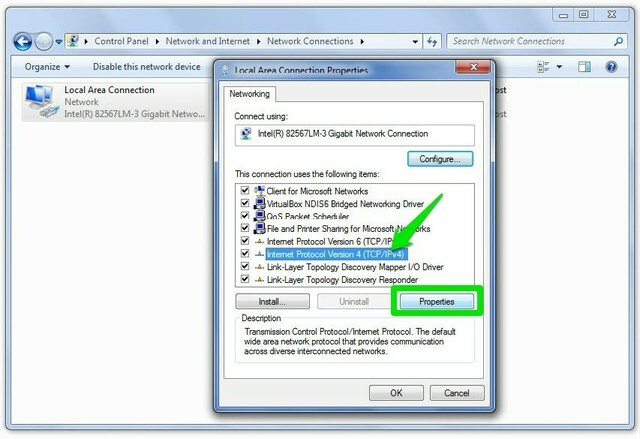 Open up Network and Sharing Center by right-clicking on the Connection icon in the System Tray. 2. In the window that opens up, click on Change Adapter Settings in the right sidebar. 3.Right-click on the connection you are using, and select Properties. 4. Choose Internet Protocol Version 4 and click on Properties. 5. 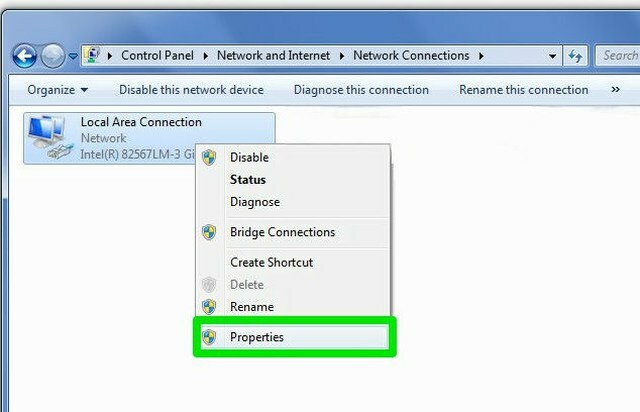 In the Properties window, select Use the following DNS addresses radio button. 6. 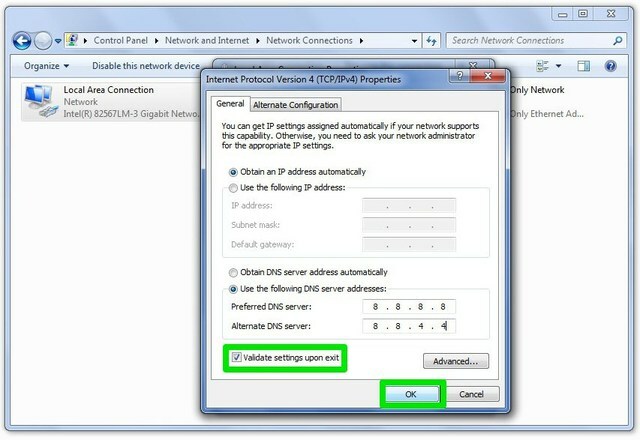 In the Preferred DNS Server field and Alternate DNS Server field, enter one of the following addresses depending on which DNS server you want to use. 7. Lastly, check Validate Settings upon exit, and click OK to close the properties window. If you are not satisfied with the current connection speed provided by your ISP, then you should consider changing your internet plan to the one which offers more speed than your current plan. Sometimes, it might also be a good idea to change your ISP altogether. While doing so, you should compare all the internet plans that are offered by ISPs in your area, and choose the one which best fits your bandwidth usage and speed requirements. Here, we discussed some internet speed up tips and tricks to optimize your connection speed and deal with the slow internet. Although the above-mentioned internet speed up tips and tricks can improve your browsing experience and internet connectivity by a high margin, there is no other way to increase your internet speed than to pay for it. If none of the internet speed up tips-tricks quenches your insatiable thirst for more speed, then as a last resort, you can dwell on upgrading your internet plan. However, a good internet plan that offers decent speed and a good amount of bandwidth are surely going to cost you more than your current plan. So, it’s up to you to find the best internet plan without breaking your budget. Previous: How to Create & Use Your Custom Email Domain Name with Gmail/Hotmail/Yahoo ?